In this small volume, I traveled from the 3rd century fresco called the Eucharistic Banquet on the wall of Catacomb of San Calixto in Rome, to the wall of Holy Cross Mausoleum in the United States, where contemporary Hungarian Artist Isabel Piczeck has installed a work called The Resurrection Trilogy. Along the way there are works in many mediums which alternate with pages of commentary: the artist on her or his work, an observer of the artist or of the artist’s work, the artist on the process of making art, the history of Christian art, or the value of art to faith. Desmond Tutu comments on “art as the “subversive claim in the face of injustice and oppression….Through creativity, blacks transcend the claustrophobia of their physical environment.” Wendy Beckett comments on Janet McKenzie’s “Jesus of the People, the winner of the National Catholic Reporter’s Jesus 2000 competition. 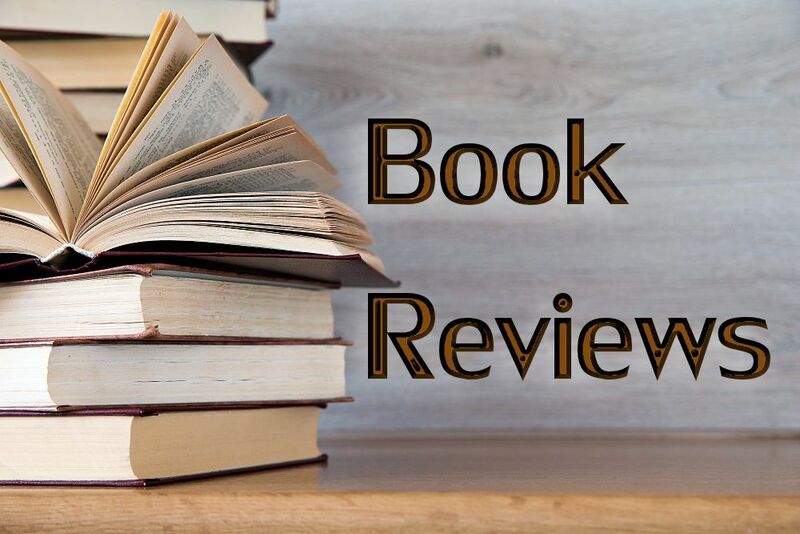 Hans-Reudi Weber assists the reader in seeing more deeply into three works which focus on the man Jesus himself: French artist Georges Rouault’s Ecco Homo; Mexican artist David Alfaro Siqueiros’s Christo; and the work of an unknown sculptor from Haiti, Crown of Thorns. Just under 50 countries are represented, with some surprises. The word “Palestinian” in American thought is not usually associated with Christian. But Zaki Baboun, a member of the Christian minority in Bethlehem, was asked to paint a biblical work for the book right after his family home had been hit by a missile, and there were wounded children in the streets of Bethlehem. He chose to paint The Massacre of the Innocents. On the page opposite the painting is a message sent by the Christians in Bethlehem to churches around the world at Christmas 2000. Even though the artist chose traditional dress for the biblical characters, the art work Baboun painted comes from his immediate experience. The collection of paintings, mosaics, drawings, collage, sculpture, textiles, stained glass, woodcuts, and cut paper includes artists well known around the world, such as Rouault, Chagall, Picasso, and Michelangelo. Others are known primarily in their own countries, including those who might be characterized as folk artists. The book contains no elevation of one kind or popularity of artwork over the others. Icons of two styles and countries are included with commentary about the debate on the nature of pagan idolatry and the place of Christian images in the church, and a closing prayer from the Seventh Ecumenical Council in Nicea, 787, when it was announced that Christian icons are theologically correct. Historical items, such as this prayer, connect the history of art, as it comes into use in places of worship and homes, to the coming of Jesus as the incarnation, the Word made flesh. The history included in the book might lead the reader to other books that have more words and fewer pictures. Including a list of suggested readings would have been a useful addition for those wishing to read more. But the scope of the book might make a list of suggested readings quite complicated. Asian writer Chung Hyun Kyung comments on the Ciminaghi sculpture of the Annunciation in terms of the liberating effect of Mary upon Asian women. Paul Oestreicher writes about the two works on Mary, Mother of God of Chernobyl, a wood icon from a Polish artist, and The Stalingrad Madonna, a simple sketch by a German artist and doctor, who did his work on the back of an army map as one of the fiercest battles of WWII raged around him on Christmas 1942. This sketch survived his death in a Russian prison camp. With all the subjects suggested by this slim volume, perhaps a reading list would be longer than the book itself. The real purpose of the book is found in the power of the visual images presented. I find myself being drawn into the conversation of Mary and the Angel, bent toward each other in focused strength in the Ciminaghi sculpture, Annunciation. An oil painting by Roger Brown, The Entry of Christ into Chicago in 1976, leads me to wonder how to portray Christ entering my area of the world. The Open Hands of Christ is a haunting chalk image of Christ looking straight into my eyes, from a Brazilian artist, Flavio Scholles. I turn back a few pages and laugh at the sunny, gleeful collage of Korean artist, Kim Jae Im, Jesus Blesses the Children. 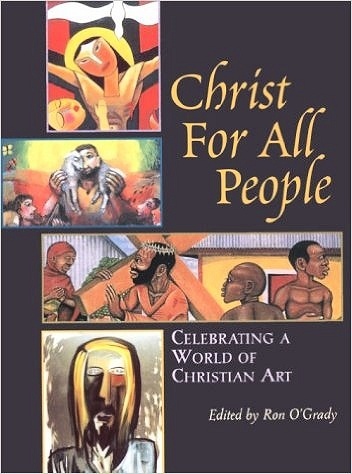 Ron O’Grady has done the world a beautiful service in this collection of art and commentary. The arrangement of the book by the periods in Jesus’ life make it a valuable resource for preaching and teaching–and as a book for use in meditation. Its historical comments serve as a source of interest for additional studies. The social justice themes move Jesus from then to now. There is something here for anyone, something which has the power to draw one closer to the person and work of Jesus, and to his friends around the world.